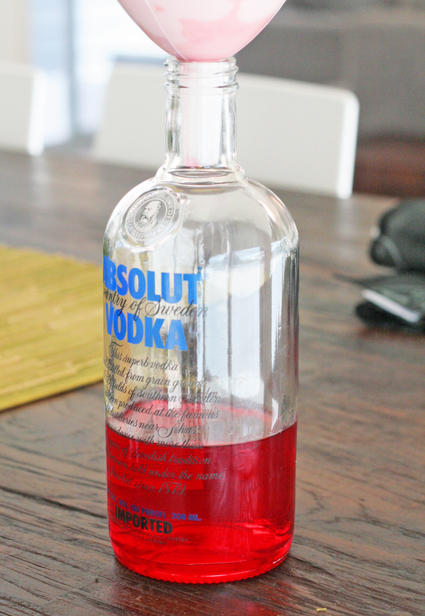 Take a full bottle of vodka and pour 1/4 of it into another bottle. 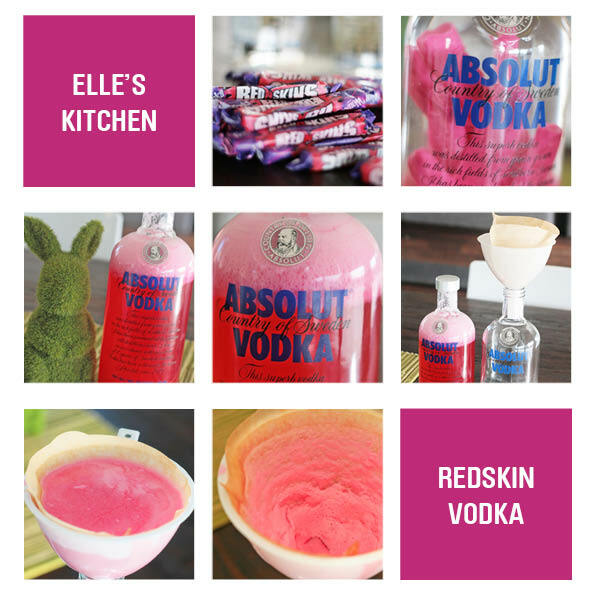 Once the redskins have completely dissolved poor the vodka syrup through a coffee filter to remove the gum. What, exactly, are redskins? I'm assuming regional candy, because I don't remember ever seeing them in AZ. Is it simular to our red vines like licorice? Not really, it is a hard candy with a distinct raspberry flavour. I have had red vines and they taste really different. do you have to filter it? 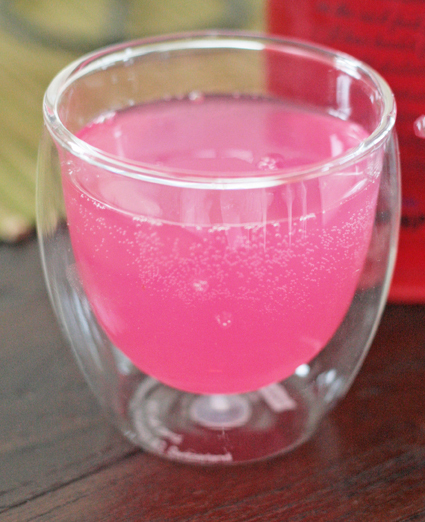 or is it safe to eat/drink? Yes I do, as said above "poor the vodka syrup through a coffee filter to remove the gum"
I just bought a cheap pack from the supermarket and placed it inside the funnel. Seemed to work quite well.